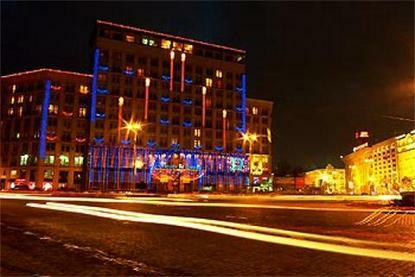 Dnipro Hotel is a four star hotel with unique atmosphere. Perfectly situated in the lively cultural and business center of the city, near government establishments and business offices, theatres and museums. The Dnipro hotel is overlooking the Dnipro river and has been for many years a pillar of social, economic and cultural development of Kyiv. The hotel is a member of business council of the world tourism organization. We have a good tradition to make our guests feel at home proposing a variety of outlets, which ensure highly enjoyable stay for all guests. Our restaurants and bars offer a wide choice of traditional Ukrainian and various international dishes and drinks of high quality. When business comes first our full service business centre will ensure all you need to conduct business successfully. Our conference and banquet facilities will provide a beautiful setting for any type of event.